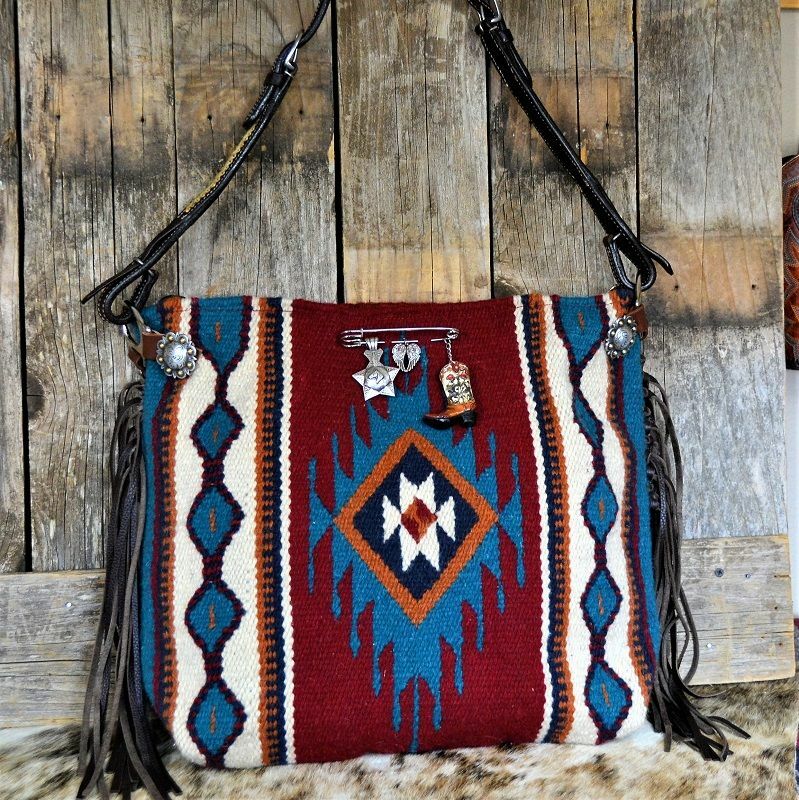 This bag is one of a kind. 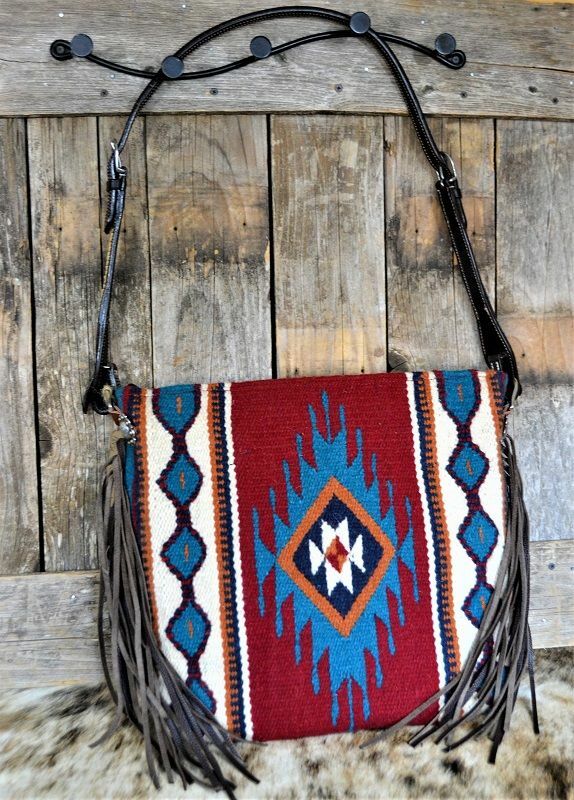 A bag made from a horse saddle blanket with added fringe. Zippered closure. Leather horse bridle with fancy rawhide braidingis used for the single handle. Adjustable 34-48". 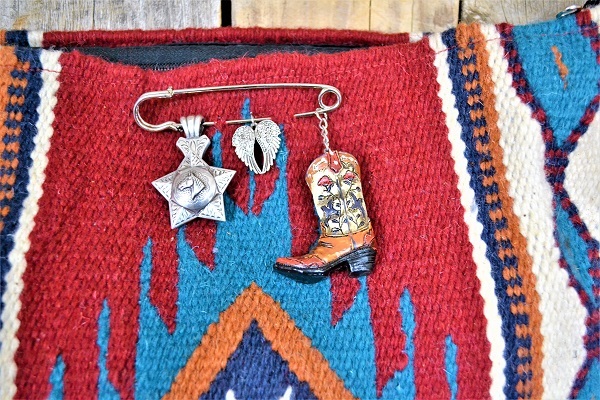 This tote has fringe and a trinket dream catcher pin with a star concho, angel wings and a cowboy boot. ( I can exchange these for something more to your liken') Lined with pockets on the inside. 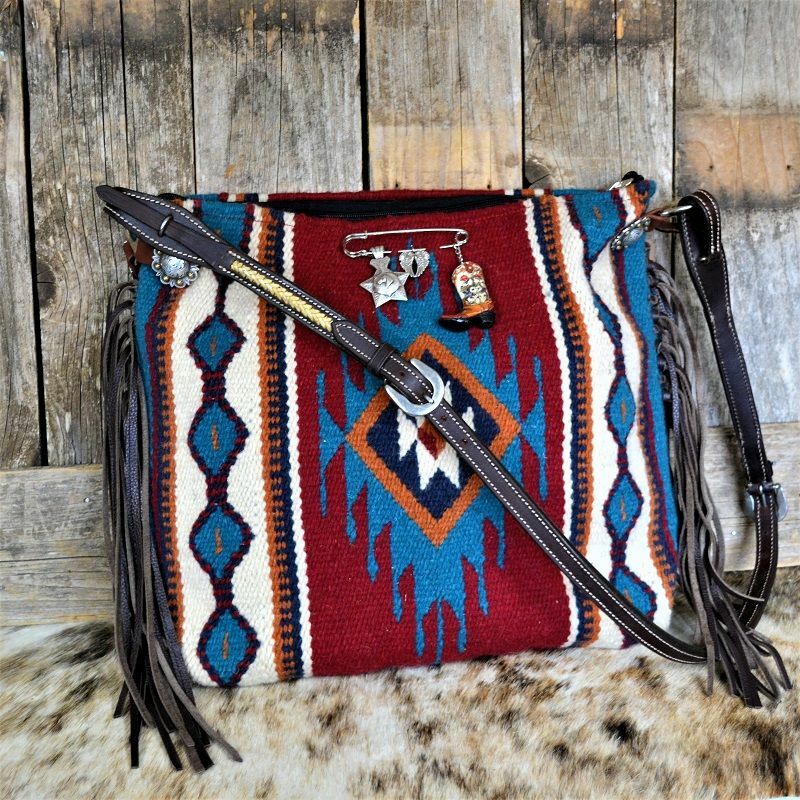 You'll love the look and durability of this South West purse! Great for overnight, shopping or just every day. Made of wool and acrylic. Dry clean only. 18" across, 14" high.